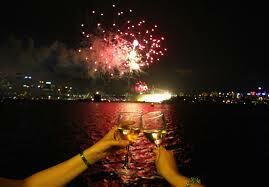 Passing Time Archives - Write for Wine: It's Wine O'Clock Somewhere!Write for Wine: It's Wine O'Clock Somewhere! 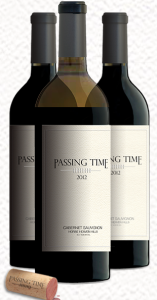 Passing Time Winery was launched last June by Dan Marino and Damon Huard, two former National Football League quarterbacks and teammates with the Miami Dolphins. If you’re skeptical about the kind of wine NFL stars can make, think again. We were delighted to pass the time with a couple of glasses of their first release, Passing Time 2012 Cabernet Sauvignon from Horse Heaven Hills. This is not surprising to those of us who are fans of winemaker Chris Peterson, whom we first met when he co-founded Avennia with Marty Taucher in 2010. Chris is widely considered as one of the hottest winemakers in Washington state, and was named “Winemaker to Watch” by Seattle Magazine in 2013. This inaugural Passing Time wine blends 86% Cabernet Sauvignon from Discovery Vineyard with 9% Klipsun Merlot and 5% Champoux Cabernet Franc. It shows a balance of fruit and mineral elements, with a beautiful mouthfeel and a chewy finish; this is an elegant, complex and expressive Cabernet that showcases the unique character of the grape in Washington state. We encourage Cabernet lovers to keep their eyes on Passing Time winery, which plans to produce three Cabernets: from Horse Heaven, Red Mountain and Walla Walla. Rumor has it that they are already fantastic in the barrel.